My biggest regret last time I made these Ham and Cheese Potato Bakes for the freezer was that I only make three large 9×13 pans full. 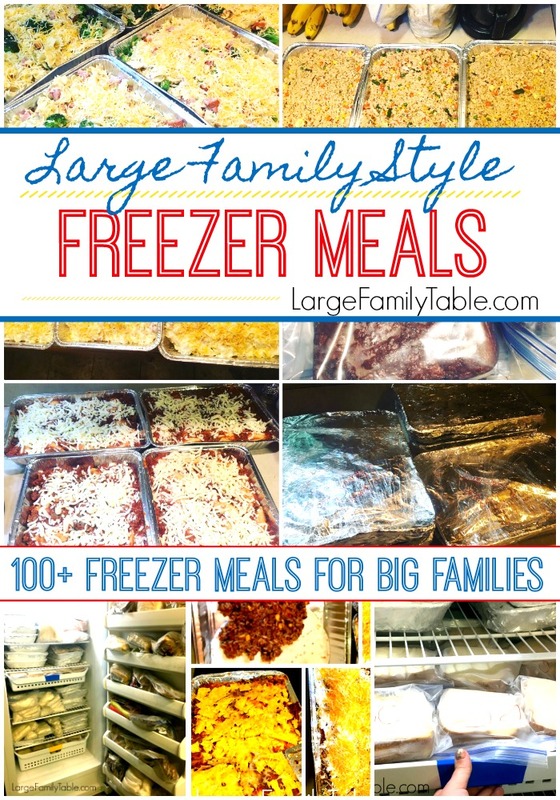 This freezer meal recipe is so good. If your family loves ham, cheese, and potatoes you might want to double this recipe to yield six 9×13 pans. 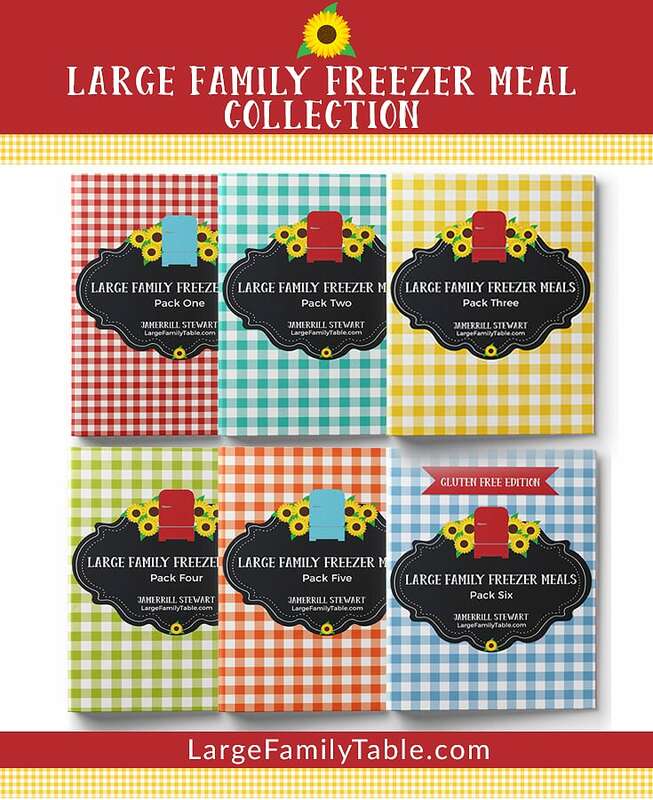 That’s what I plan on doing next time I want to feed my freezer this creamy recipe! This recipe makes three 9×13 pans. Next, go round I’m doubling this recipe to make six! Combined all the ingredients listed above (minus 3 cups of shredded cheese for your final topping) in a large mixing container. 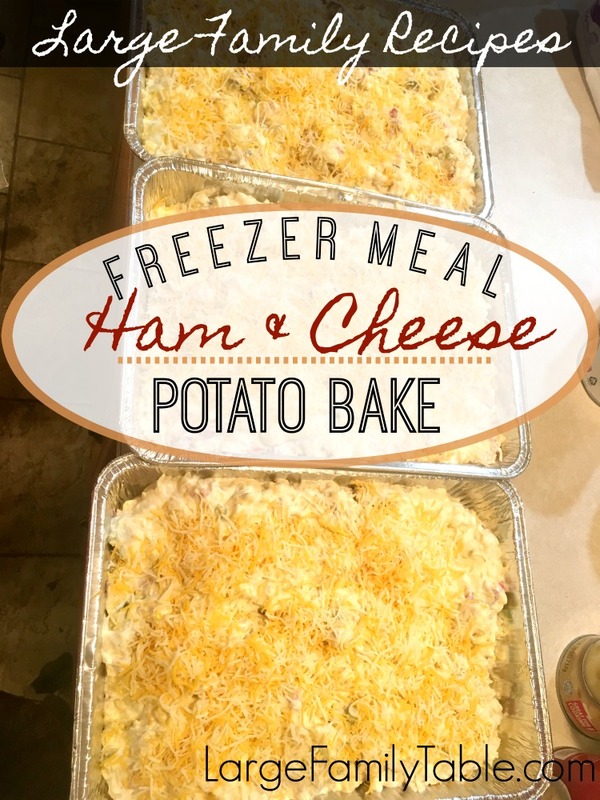 Fill up to three 9×13 baking pans with the Ham and Cheese Potato Bake Mix. Top each pan full with one additional cup of cheese. 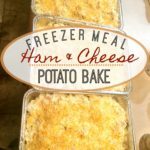 Set the desired pans of Ham & Cheese Potato Bake out in the refrigerator the evening before you’d like to serve them. 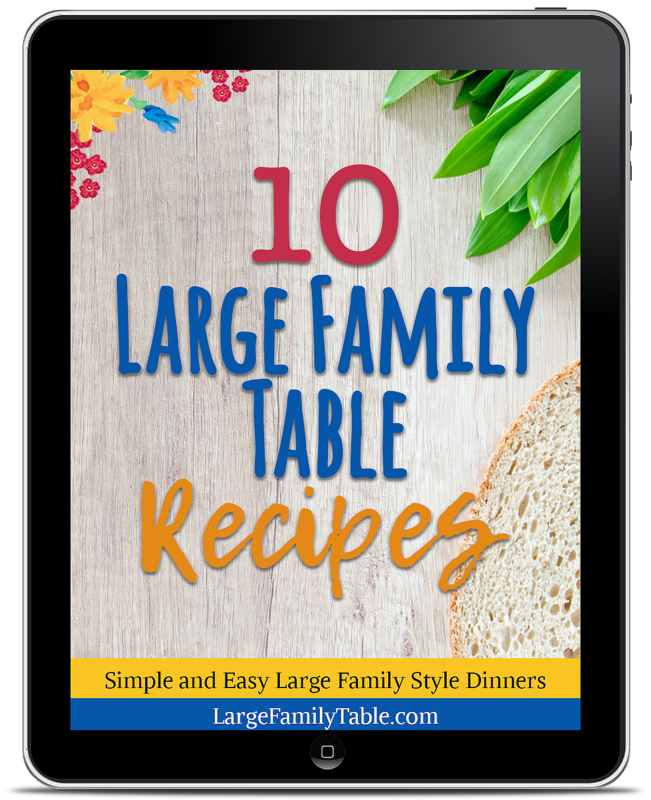 Get your free copy of 10 Large Family Table Recipes: Simple and Easy Large Family Style Dinners! Came out amazing ! Will definitely make this again. Cost was less than $11.00 per pan. Not many of the kids would try it yet. Do you think this could be a breakfast thing if done with either sausage or bacon?